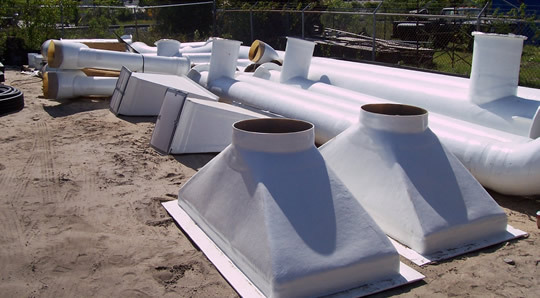 Indusco Environmental Services, Inc. designs and supplies all type ductwork and duct supports for connecting the scrubber systems to the process. In many applications the ductwork can be quite extensive and require experienced personnel to provide the best layout configuration for the most effective system. IES provides ductwork that is proven to meet or exceed the requirements of some of the toughest applications and environments. 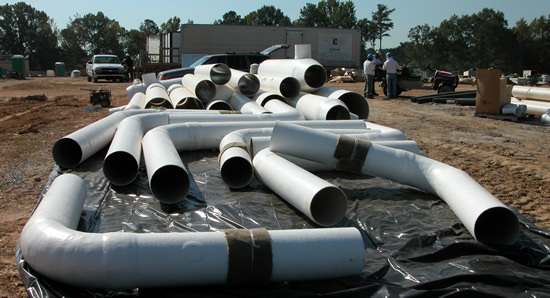 Ductwork is typically fabricated of carbon steel, stainless steel, fiberglass, and thermoplastics. Duct can have various connection types; weld in field, flange and slip joint.